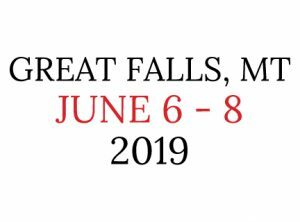 The 2019 Beer Now Conference will take place June 6 – 8 in Great Falls, Montana. We will be adding an Agenda here soon. Please add your email address to the Stay Updated box to the right and find us on Facebook and follow us on Twitter. Previous years’ agendas and speakers can be found in our Archives. 1:00 PM Overnight Excursion – Visit Helena Montana: Join us for a pre-conference excursion to Helena, Montana, home to four breweries, including the “Small Brewery of the Year” for 2018, according the the Brewers Association. 2:00 PM Drop off from Helena, MT, pre-con excursion. 3:00 PM – 5:00 PM Adventure to Malteurop: Enjoy an afternoon at the world’s leading malt producer and hear presentations from the Barley Procurement Manager and Plant Manager. Roundtrip transportation included as well as heavy hors d’oeuvres. This is included in your conference registration, but pre-signup is required for bus numbers. Signup here. 9:30 – 10:00 AM Introduction – Julia Herz of the Brewers Association: Julia has provided the introduction on every single BBC since its inception and always offers a dynamic presentation of the current state of craft beer and how that is pertinent to beer bloggers. 11:15 – 12:15 PM All-Group Session with the NBWA: The U.S. Beer Market: Past, Present and Future: The beer industry has changed dramatically. Brewers, distributors and retailers continue to react to consumers’ demand for innovation in beer while looking quality and affordability. Existing breweries are merging, setting up taprooms and, in some cases, selling to larger players. Distributors are diversifying ways to get beer to a rapidly changing retail market. National Beer Wholesalers Association Chief Economist Lester Jones will examine where the industry has been and where it is headed. He will also help attendees understand the data that shape stories on the growing alcohol beverage marketplace. He will present compelling data and insights to help beer writers better understand the policy, economic and demographic factors shaping the industry in 2019 and beyond. 12:15 – 1:15 PM Sponsored Lunch by MacKenzie River Pizza: Enjoy tasty lunch bites from a local staple that uses Montana wheat in their pizza crust! 1:15 – 1:45 PM Presentation: Montana Wheat & Barley Commission. In this half hour you’ll learn why Great Falls, Montana, is arguably the epicenter of most of the beer in the United States, in terms of producing barley for breweries of all sizes. 1:45 – 2:30 PM Keynote: Josh Noel, Author of Barrel-Aged Stout and Selling Out: Goose Island, Anheuser-Busch and How Craft Beer Became Big Business. Josh Noel has written about beer for the Chicago Tribune since 2009. His book won “best book” from the North American Guild of Beer Writers in 2018. Josh is a career newspaper journalist, previously covering crime, travel, education and sports. 2:30 – 3:30 PM All-Group Session with the NY International Beer Competition | Adam Levy, NY International Beer Competition: Have your place at the table with winners! Adam will be serving up winning beers for an hour, talking about why each one won this esteemed competition. Judges for the NYIBC are made up of trade buyers who routinely pick the best beers to sell in their establishments. Expect to taste up to 10 stellar beers during Adam’s presentation. 3:45 – 4:45 PM All-Group Session with Chimay: Join Chimay, a producer of world class beer and cheese, for a beer and cheese pairing all while learning the history of Bieres de Chimay and Trappist Breweries, as well as how Chimay’s charter classifies them as a charitable foundation. Did we mention two of the cheeses for this pairing are actually washed in beer during production? This session is not to be missed! Never Write a “Brewery Profile” Story Again | Jess Baker, Editor-in-Chief of CraftBeer.com: Have you heard about the new dog-friendly brewery that has yoga on Saturdays? How about the brewery that has a Wednesday run club and a great IPA? Jess is here to talk about why she cringes when “brewery profile” pitches land in her inbox, and what she wishes freelancers would pitch her instead. Podcasting in the Craft Beer World: An Untapped Opportunity | Chris Luecke, Pubcast Worldwide: Is podcasting the craft beer industry’s next media frontier? While a handful of beer-centric shows already exist, all signs point to podcasting being a medium that will only continue to grow for the foreseeable future. In this session, Chris Luecke – host of the international beer podcast ‘Pubcast Worldwide’ – will discuss why craft beer media and marketers should seriously consider podcasting as a platform, and the tools and tactics you’ll need to get started and captivate your audience. 11:10 – 12:10 PM Three Editors Walk into a Bar: Q&A with Beer Media Leaders | (Panel Discussion) Jill Redding, The New Brewer; Sarah Freeman, October; Kate Bernot, The Takeout: Join us for the an in-depth hour of hearing insights into creating content and writing about beer online and in print. Our panel is comprised of three leaders in beer media, each bringing their unique experiences, expertise, and viewpoints to the Beer Now audience. Moderated by Ryan Newhouse. 2:30 PM Depart for Montana Brew Fest / Live Beer Social! Home to Kalispell Brewing Co.; Bias Brewing; Sacred Waters Brewing Co. (opened Nov. 2018); SunRift Beer Co.
Kalispell is only 15 minutes north of Flathead Lake, the largest natural freshwater lake by surface area west of the Mississippi River. It’s 15 minutes south of Whitefish, Montana, home to Great Northern Brewing Co. and Bonsai Brewing. Kalispell is the “Gateway to Glacier National Park.” The West Glacier entrance to the Park is only 45 minutes northeast, passing through Columbia Falls (home to Backslope Brewing).